R&B ABOUT US - R&B RESTORATION CARPENTRY, INC.
Matthew and James are the team leaders for all R&B projects. We bring in subcontractors to cover everything we can't do. We aren't experts in everything, but we know the folks who are. We will treat your home or building as if it were our own. Matthew has a Master’s Degree in Historic Preservation Planning from the University of Virginia. He worked for six years at John Milner Associates, Inc. before working at Frens & Frens Restoration Architects LLC and then training as a restoration carpenter. He wanted to spend more time handling the fabric of historic buildings, discovering how the original builders achieved their visions and goals for our architectural heritage. After running a restoration contracting business for more ten years, an opportunity arose to train and work with Whitworth - Architects and Surveyors as a building surveyor in the United Kingdom. During those three years, he worked on historic buildings ranging from 12th-century, flint-walled churches to 15th-century hall houses to 1930s apartment blocks. It was very enriching and rewarding. Upon returning to the US, he joined with Jimmer to create R&B, allowing him to bring his in-depth knowledge of historic buildings and their English antecedents to bear on the projects he undertakes. 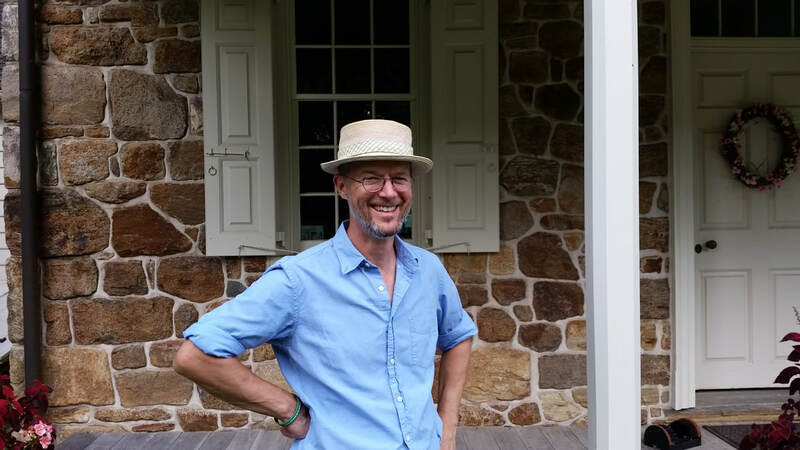 Matthew served for more than ten years on the board of directors for the Chester County Historic Preservation Network (CCHPN), more than seven years on the board of Historic Yellow Springs, Inc. (HYS), and three years on the West Chester Historic and Architectural Review Board. For three years he ran the Chester County Preservation Fair, a joint project of the CCHPN and HYS. 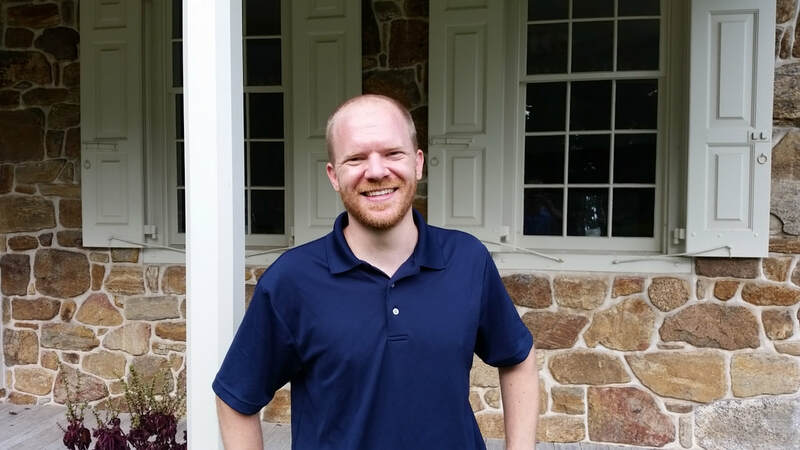 He provides pro bono consultations to the Chester County Heritage Preservation Coordinator on matters related to historic building fabric. James (Jimmer) has a Bachelor’s Degree in Fine Art from West Chester University. Shortly after graduation, he began working in the field of carpentry; first in a furniture shop and then for a historic building restoration firm. The transition from art to carpentry was natural for him as both allow him to be creative and work with his hands. His background in art made it easy for him to understand and appreciate the quality craftsmanship found in fine woodworking and historic architecture. He went into business for himself establishing Breen Company in 2004. Breen Company provided custom carpentry services and specialized in historic restorations throughout Southeastern Pennsylvania and Delaware. Alongside a fantastic team of master carpenters and all manner of tradesmen, Breen Company offered design work for custom built-ins and architectural features, general building maintenance and management for historic properties, as well as general contracting services. Forming R&B in 2018 with Matthew was an opportunity that felt very organic. Their combined work experience and history as both colleagues and friends has paved the way for a company that is well-rounded and able to provide restoration services of the highest quality. Jimmer has been a member of the Historical and Architectural Review Board for the Borough of West Chester, Pennsylvania since 2010, and currently sits as the Board’s Vice-Chair Person. He also serves as Chair Person for West Chester’s Public Arts Commission and has been a member of the West Chester Preservation Awards Committee since 2016. Additionally, he served on the Strode Barn Study Committee for East Bradford Township. He resides in the Borough of West Chester with his family. We run a community foundation from our headquarters at West Chester’s Historic Lincoln Biography Building. Every day, visitors tour the site, and they remark on how well-preserved our 1832 building is. This is due to the talents and dedication of Matthew Roberson and Jimmer Breen. For over a decade, they have helped us make respectful repairs and renovations to our historic treasure. Matthew and Jimmer know that we have a slim budget and that we need to keep offices open while renovation projects are underway. Somehow, they have always managed to balance our historic preservation, budget and timing needs. It is rare to find such dedicated expertise, and reassuring to know they are in our own backyard. Thank you, Matthew and Jimmer, for enabling us to steward our historic legacy.